How much does it cost you to ship your products each month? How long has it been since you priced out other shipping options? If you’ve never looked into FRC Logistics, you may be missing out on a great way to save your company some money. Isn’t it worth it to check out our great customer service and low prices? Shipping over land is one of the most efficient ways to transport products, equipment and materials. Thanks to the countless miles of highway in the United States, the trucking industry provides a means for companies to deliver their shipments in an effective way. For companies to remain competitive, it is necessary that they keep their shipping costs to a minimum but not skimp on the quality of the shipping service—late and lost deliveries are a real headache, and they cost. Many people ask us the point of leveraging Freight Rate Central’s services instead of purchasing truck freight via the trucking companies themselves. Our answer is simple: you can… but you’ll likely come back to us in the long haul. We leverage bulk purchasing not only for substantial savings on the freight itself, but also to earn us improved door-to-door service as valued customers. Our bulk purchasing power allows us to transfer savings of up to 75% off of trucking company standard rates, and those are rates that you alone would be unable to negotiate. That’s why Freight Rate Central is the obvious choice for companies that are looking for a way to ship items from 100 pounds to 100 tons across the country. We provide great service at discount rates. You’ll never have to worry about the status of your shipment, thanks to our online tracking system. 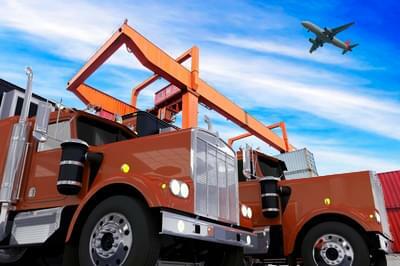 Even at such low prices, your cargo will safely arrive at its destination. Why Use Freight Rate Central for Truck Freight Rates and Quotes? Beyond the abundant amount of discounted trucking rates we can offer you, we also make the entire trucking process a snap. From the moment you get an instant online quote via our online freight quotation system until you turn the quote into a shipment, the process is almost effortless. 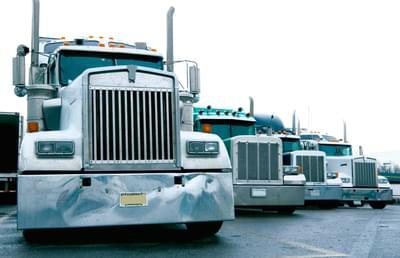 In addition to a seamless process, we also offer every trucking service that you could need, from Less Than Truckload (LTL) all the way up to oversized trailers. Our lineup of trucks include services for full truckload, LTL, dry van, flatbeds, stretch flatbeds, step-deck trailers, removable gooseneck trailers (RGN), lowboy trailers, power-only trailers, extendable double-drop trailers, heavy haulers, side-kit trailers, over-dimensioned trailers and more. If you’re ever unsure about which truck type is ideal for your shipment, simply call us and speak to one of our knowledgeable reps and they will determine the most efficient truck type for your freight, based on its dimensions and weight. Even if your shipment is Less Than Truckload, we can offer quick, efficient service at a fraction of a cost you’d pay if you contracted directly with a carrier. We’re ready to ‘move you’ 365 days a year, round the clock. To ensure that you can keep tabs on your precious cargo, we offer online, instantaneous shipment tracking for all shipments—even for Less Than Truckload shipments! 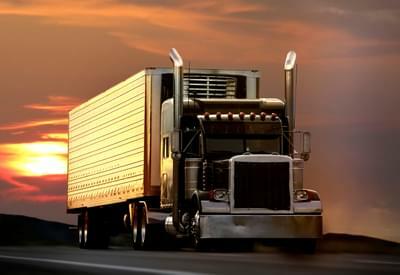 Ready to Test out our Discount Truck Freight Rates? To find out just how inexpensive our services are, try our free instant online quotation service. You won’t have to speak with a customer service representative, as the process is conducted entirely online by our automated system. Of course, if you prefer old-style service with a real human voice, we’d love to hear from you, and you always have the option of calling our company to speak with one of our knowledgeable reps about your shipment. Either way, once you get your quote, we’re sure you’ll decide that Freight Rate Central is exactly what you’ve been looking for. From residential shipments to RGNs to hazardous materials, we’ll take your freight where it needs to go.